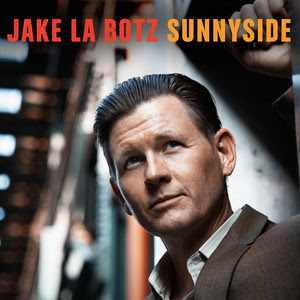 On the heels of his new album "Sunnyside," master storyteller Jake La Botz will perform at The Signal in Chattanooga on Feb. 24. He will accompany Lucero. Doors open at 7 p.m. and the show begins at 8:30 p.m. Tickets are $22-$25 and available here. His first album in four years, "Sunnyside" finds the new Nashville transplant recounting his past and present atop an irresistible, driving groove. Jimmy Sutton recorded La Botz in his original hometown of Chicago at an all-analog studio, teasing dynamite performances out of the heavily tattooed artist. A teenage punk, a juvenile delinquent, an actor (including a part in the classic ‘Ghost World’), a drifter, an apprentice to blues elders growing up in Chicago, self-educated reader, an addict in Los Angeles, a musician in a gospel church, a Buddhist, a meditation teacher, a songwriter touring a circuit of tattoo parlors nationwide. Now, he’s taken all those experiences and synthesized them with producer Jimmy Sutton (Pokey LaFarge, JD McPherson) for ‘Sunnyside,’ now available on Hi-Style Records. A master storyteller from time spent at the feet of his grandfather and other elders, La Botz infuses his songs with gritty, deeply imagined characters. The album runs along an axis of spirituality on one side and materialism on the other, with La Botz spinning metaphors and subtle dual meanings throughout. Stories include the absurdity of filling one's life with "positivity" (the title track), a portrait of a decrepit hotel with addicts seeking fixes (“The Hotel [Fix Me Now]”), a prisoner searching for a way out (“The Trees in Cali”), a mystical hobo’s description of freedom (“Hobo on a Passenger Train”), a street musician trading art for spare change in the subway (“For Nickels & Dimes”), and the carefree feeling that comes with the arrival of summer (“Feel No Pain”). La Botz has opened for greats like Ray Charles, Dr. John, Mavis Staples, JD McPherson, Etta James, The Blasters, and Tony Joe White.